Comments On Display here a fine implementation of Vedic Gem Therapy. Combined talisman for Sun and Jupiter energies. 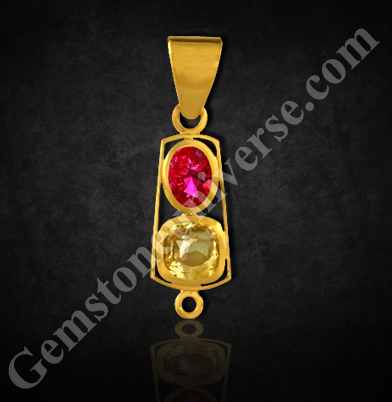 Sun is represented by an unheated Mozambique Ruby and Jupiter is represented by unheated Golden Butter Yellow Sapphire from Ceylon. Together their chemistry is sizzling and power limitless. 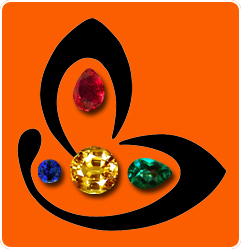 Both the gemstones have a fine color and qualify on all parameters of a true Jyotish Gem. One look at the lustre and the fineness and there is nothing more to say. Note: Thank You Dear Patron for your gracious testimonial and comments.